1. 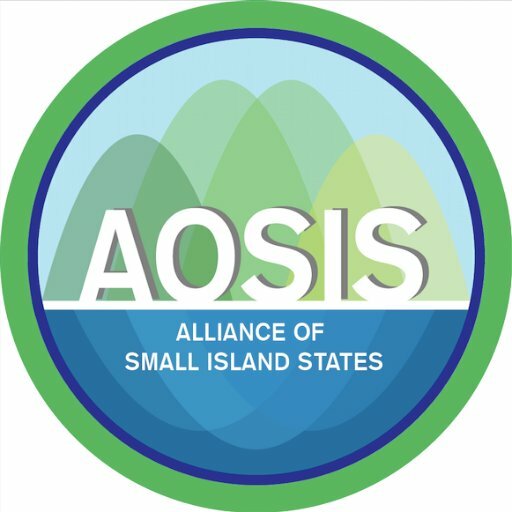 I have the honour to speak on behalf of the Alliance of Small Island States (AOSIS). We align ourselves with the statement made by the distinguished representative of Thailand on behalf of G77 and China. 2. At the outset, AOSIS would like to congratulate you, Mr Chairperson, and also your Bureau, on your election as Chair of this Committee. We look forward to working with you closely as we embark on another crucial session of the Second Committee. Let me also convey congratulations to your predecessor, His Excellency Mr Andre Logar, and his Bureau for their stewardship of this Committee during the 70th session. AOSIS attaches great importance to the issue areas covered under this Committee. You can count on our active engagement throughout the deliberations of the Committee. 3. SIDS have been recognised as a special case for sustainable development. We face many challenges due to our remote locations, distance to markets, diseconomies of scale, susceptibility to external shocks, and vulnerability to the effects of climate change. Across multiple documents and frameworks, we are heartened that this has been recognised, along with synergies with our own roadmap, the SAMOA Pathway. 4. Nowhere is the vulnerability of SIDS made more clear than in the face of disasters. When islands face such extreme weather events often strengthened by the worsening impacts of climate change, the damage to hard and soft infrastructure is debilitating, and reverses development gains. Therefore, we ask that the international financial institutions take into account the specific challenges and vulnerabilities faced by SIDS, including the impacts of climate change on SIDS economies. 5. It is also important to consider criteria other than GDP when determining eligibility for concessionary and non-concessionary financing opportunities. We appeal to the international community to support efforts to develop multi-dimensional measures that account for the particular contextual vulnerabilities faced by small island developing states. We further call for participation of SIDS in the decision-making and norm setting processes by which we are affected. 6. SIDS continue to call for necessary linkages between the SAMOA Pathway, the 2030 Agenda for Sustainable Development, the Addis Ababa Action Agenda, and the work of this Committee. Last year, through the annual resolution on follow-up to the implementation of the SAMOA Pathway, we established the Partnership Framework to follow up on the partnerships announced at the SIDS Conference in 2014 as well as attract new ones. This year, through the resolution we will be evaluating the findings of the Comprehensive Review of the UN system support for SIDS. We see these efforts as tangible outcomes that will strengthen support to SIDS, in our quest to achieve sustainable development. 7. Climate change continues to pose a significant risk to SIDS and our efforts to achieve sustainable development and, for many, represent the gravest of threats to our survival and viability, including, for some, through the loss of territory. It is therefore extremely befitting, that we welcome the Paris Agreement, and all efforts for its early entry into force. Early entry into force is just the first milestone, however. We also need to start focus on implementation and ensuring that the capacity to implement is bolstered especially for developing countries. 8. We are also mindful of the state of our oceans. As large ocean states, oceans constitute our livelihood, provide economic opportunities, are a significant part of our cultural heritage, and offer substantial biodiversity for the global community. We are looking forward to the UN Conference to support the implementation of SDG14: Conserve and sustainably use the oceans, seas and marine resources for sustainable development to be held in June 2017. 9. The key word of this year is "implementation". But for implementation to begin, we need to focus on realising the means of implementation. In the context of global partnership, financing, partnerships, capacity building, technology transfer, data and statistics are all key and part of the 2030 Agenda. AOSIS holds the means of implementation as well as the follow up and review of each goal as a top priority to help us in achieving our specific commitments within the SAMOA Pathway. We look to UN entities and our development partners to help us implement these key issues in a coherent and cohesive manner. 10. In conclusion, we look forward to supporting you and your bureau in the work programme ahead of us.